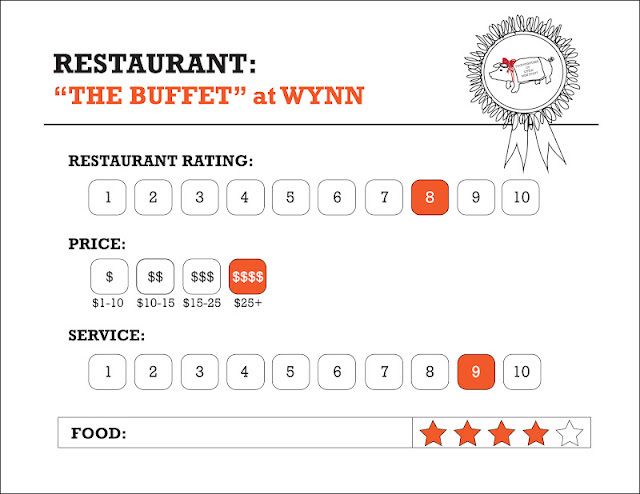 When it comes to buffets, I keep hearing people say that Wynn has one of the best tasting ones on the strip. So when my family and I were planning our trip to Vegas this summer, I made sure that we had enough time to squeeze in a time slot to try out Wynn's infamous buffet. This (would you believe) actually became one of my ultimate goals during our trip and as weird or funny as it may sound, I was really motivated to make it happen! No matter how full or tired I was.. I made sure that Wynn was one of the restaurants that we had to go to! After my constant reminder (or should I say nagging) to my family.. they were nice enough to bring me (finally!) to Wynn's buffet! You wouldn't believe how happy and excited I was when we were in our taxi ride all the way to the hotel. I was literally hyping myself up and imagining how much food I could choose from! Originally I wanted to go try their dinner buffet, but since we already made dinner plans for the rest of our time there, Lunch was the only available and ideal time for us to go. By the time we got there, there were surprisingly no line ups outside (Thank God!) so we were able to go straight in right away without having to wait long. It was also a good thing that there were no line ups because we were already super hungry that we practically just dived into their buffet as soon as we were given a table! When you enter the restaurant, you'll see how the interior is decorated with very nice whimsical characteristics like the colorful floral arrangements at the center hall that leads you to a number of open door ways towards the other parts of the restaurant and buffet. When it came down to their service, I would have to say that our server was great at doing his work but what bothered us the most was when it came to calling him. He seems to be no where in sight most of the time! but at least when we finally got his attention, he was quick to respond and provide us with our orders. Food wise, you could easily see the difference of quality that you get compared to other hotel buffets on the strip. I would have to say that Aria's buffet is still my favorite place to go to but Wynn's is not bad as well. I do however still want to try out their dinner buffet because I'm assuming that maybe there would be more seafood and meat options at night. Lunch didn't really have as much seafood options as I was expecting it to have but for the variety of food that they had, you could say that they were a pretty good contender to Aria's buffet. For between choosing a Buffet or another we need to be on top of what each one offers the best, worrying about the number of services and professionals that will be available for the celebration. Buffets some you do not even bother with the decor, as many nowadays already offer this customer option so that it will save your expenses. Las Vegas Summer 2012: Aria's "The Buffet"